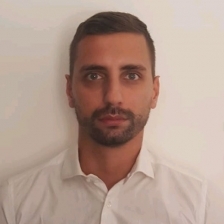 Filippo Leoncini works as Data Scientist at Prada Group Spa. He joined the Advanced Analytics Team in September 2018 filling the company need to set up and put into production machine learning algorithms that provides new insights on customer data. He got a Master Degree in Economics at University of Florence, Italy. After a period of time in which he was employed for the Statistical Direction of Municipality of Florence before, and then a financial risk management company, he attended and completed a Master in Data Science at Bologna Business School, Italy. He worked for an IT company for two years developing solutions using IBM Cognitive Technologies and coding in Python. He also competes in some Coding Challenges, such as The Alexa and Arduino Smart Home Challenge in 2018.